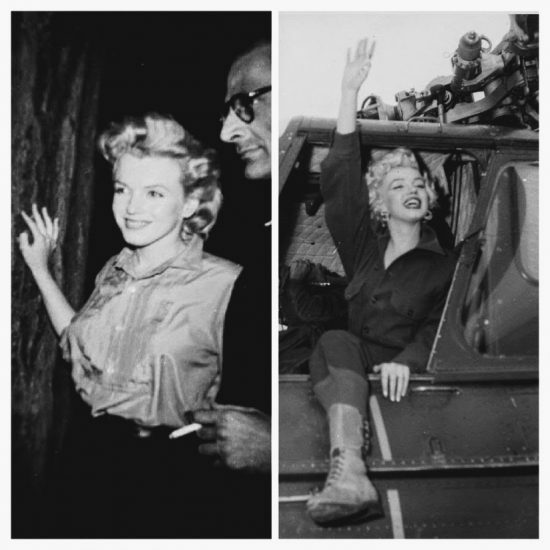 Despite her glamorous appearance, Marilyn required no special treatment during her 1954 military tour of Korea. Nonetheless, U.S. troops did their utmost to make their special guest comfortable throughout her stay, as this amusing tale from the Reading Eagle reveals. 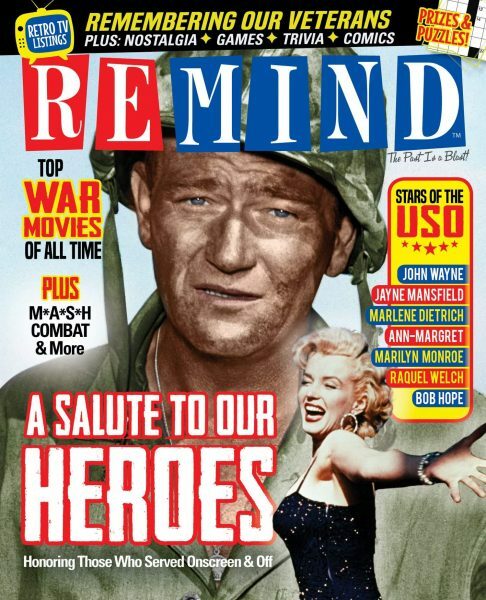 “When Marilyn Monroe visited American troops in Korea in 1954, Arthur ‘Kip’ Bowers of Blandon was tasked with providing the movie star a key necessity. Bowers, 87, told that story Thursday immediately after receiving the Korean Ambassador for Peace Medal at the Paul R. Gordon Veteran Social Center in Reading, PA.
Bowers used his job as an Army military police officer to get the wood by setting up a speed trap and stopping Army vehicles. 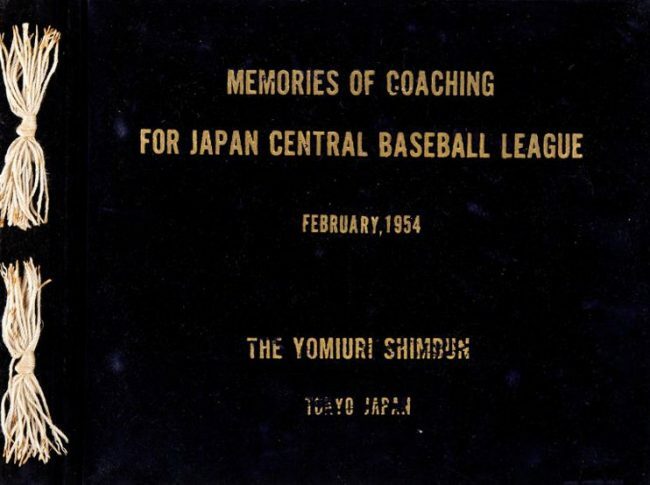 A souvenir album featuring 34 original photos taken during Marilyn and Joe DiMaggio’s trip to Japan in early 1954 – including Joe’s stint as a coach to the Japanese baseball league, and Marilyn’s solo jaunt to Korea – will go under the hammer at a sports memorabilia sale hosted by Heritage Auctions on February 23-24, as Simon Lindley reports for Just Collecting. 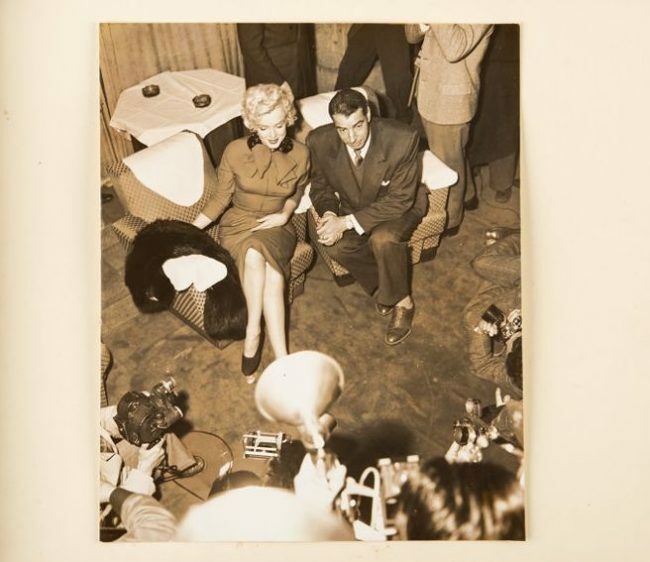 First sold in the 2006 auction of the DiMaggio estate, it was most likely a parting gift from the newlyweds’ hosts. UPDATE: The album has been sold for $12,000. 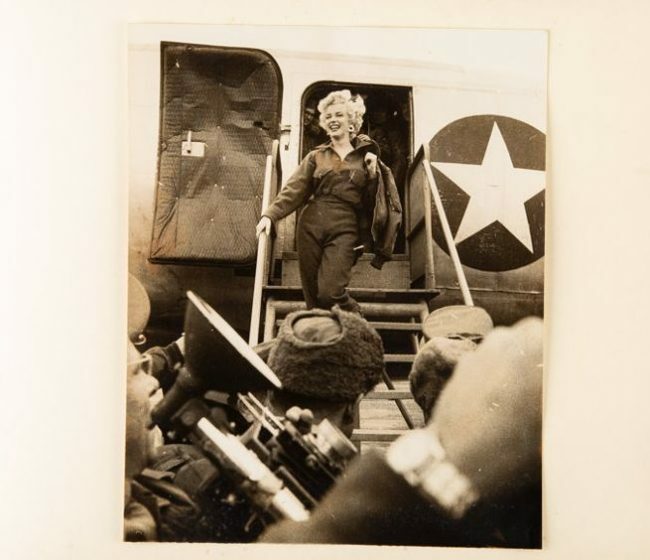 An 86 year-old Korean War veteran from Amherst, Massachusetts has shared his memories of Marilyn with the Buffalo News. “Robert W. Fisher was glad for anything to break up the monotony of his Army service in post-war South Korea. 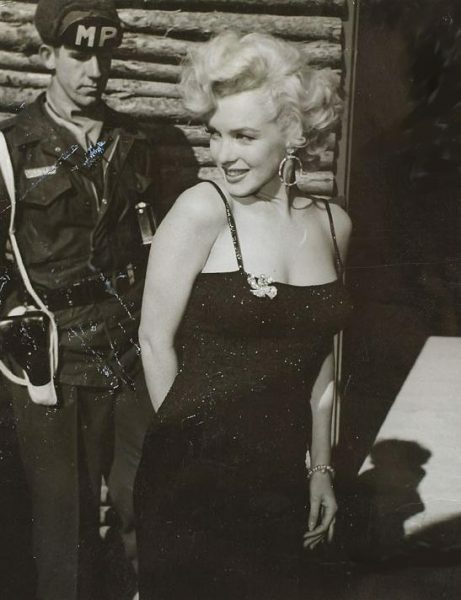 So he was excited when officers said the troops would get a show that day in January 1954 [actually, Marilyn visited in February.] Fisher said a few thousand men marched to a field, where they saw a helicopter parked next to a stage. 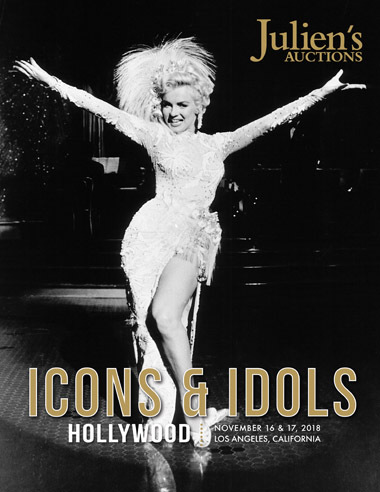 A wide range of Marilyn-related items, including her 1956 Thunderbird, will be up for grabs at Julien’s Icons & Idols auction on November 17. 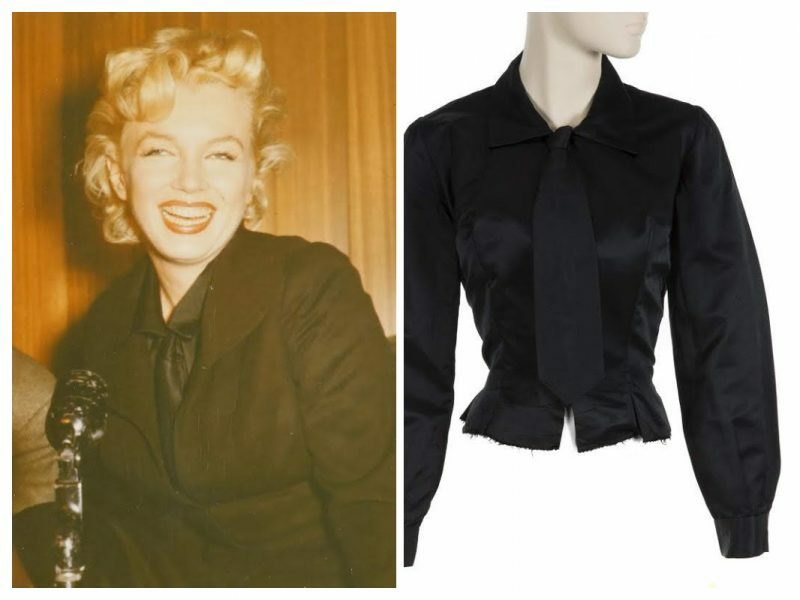 Another high-profile item is the white beaded Travilla gown worn by Marilyn when she sang ‘After You Get What You Want, You Don’t Want It’ in There’s No Business Like Show Business, purchased at Christie’s in 1995; as yet it’s unclear whether this is the same dress listed at Julien’s in 2016. 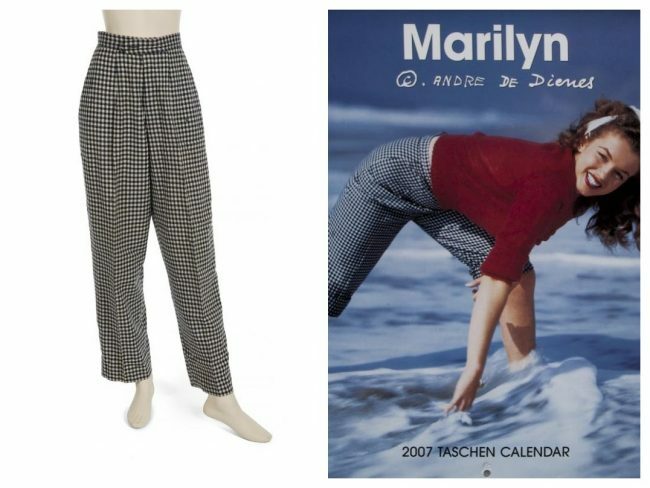 Marilyn owned several pairs of checked trousers, wearing them repeatedly throughout her career. This pair, seen in one of her earliest modelling shoots, was purchased from Sak’s Fifth Avenue. 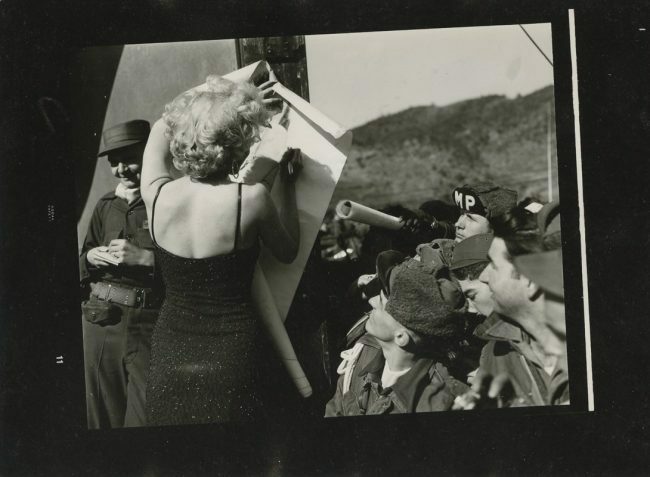 A number of photos owned by Marilyn herself are also on offer, including this picture with US troops, taken on the set of Gentlemen Prefer Blondes; a set of publicity photos for Love Nest; a photo of Joe DiMaggio in his New York Yankees uniform; and Roy Schatt‘s 1955 photo of Marilyn and Susan Strasberg at the Actors Studio. A postcard from the Table Rock House in Niagara Falls was signed by Marilyn and her Niagara co-stars, Jean Peters and Casey Adams, in 1952. A set of bloomers worn by Marilyn in River of No Return (as seen in this rare transparency) is going up for bids. Among the mementoes from Marilyn’s 1954 trip to Japan and Korea are two fans and an army sewing kit. 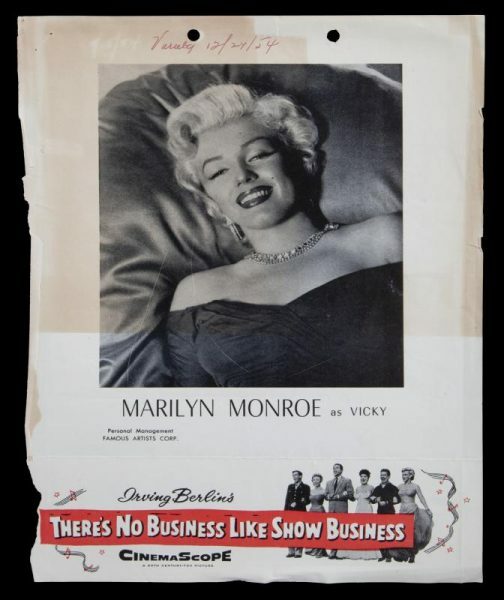 Also among Marilyn’s personal property is this ad for There’s No Business Like Show Business, torn from the December 24, 1954 issue of Variety. 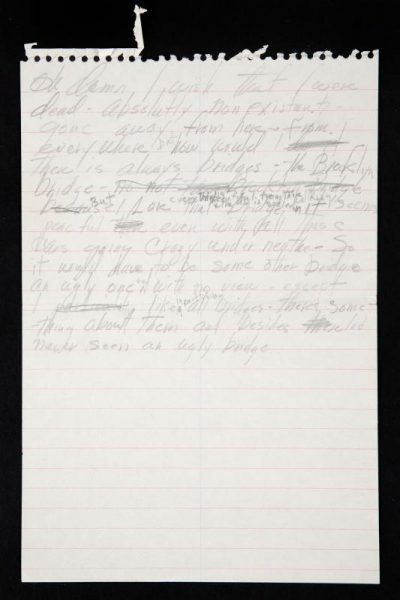 Marilyn’s hand-written poem inspired by Brooklyn Bridge is also on sale. 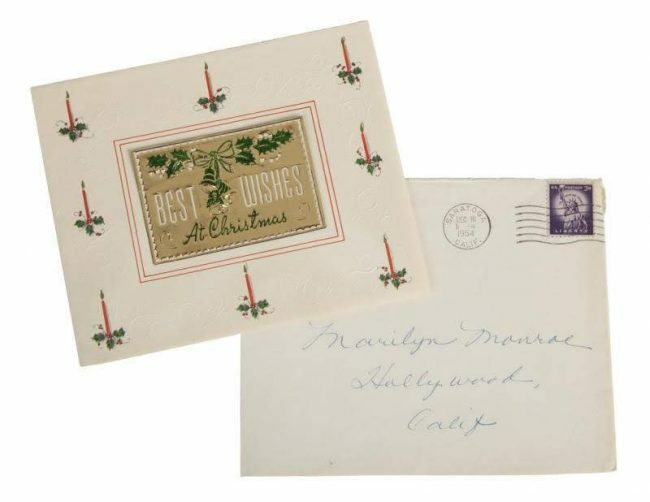 Among Marilyn’s correspondence with fellow celebrities was a Christmas card from Liberace, and a telephone message left by erstwhile rival, Zsa Zsa Gabor. 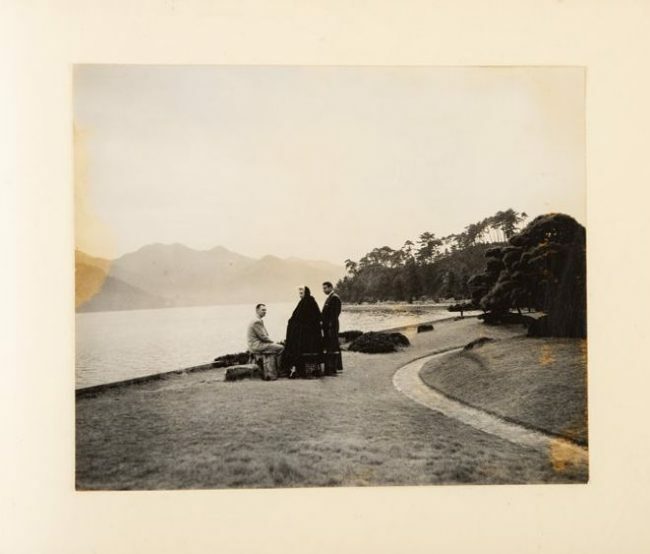 In April 1959, Marilyn received a letter from attorney John F. Wharton, advising her of several foundations providing assistance to children in need of psychiatric care, including the Anna Freud Foundation, which Marilyn would remember in her will. 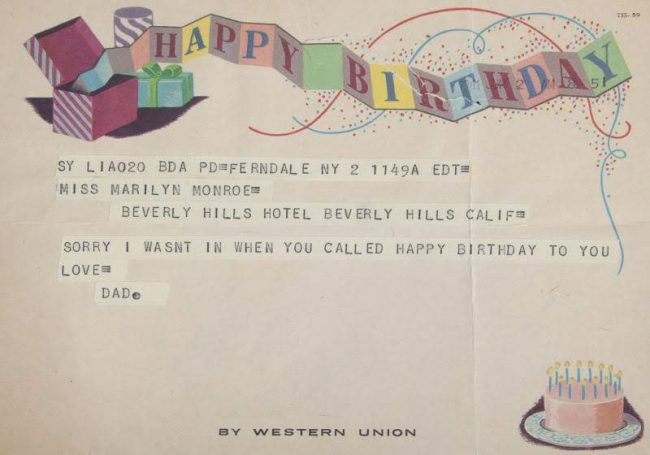 This telegram was sent by Marilyn’s father-in-law, Isidore Miller, on her birthday – most likely in 1960, as she was living at the Beverly Hills Hotel during filming of Let’s Make Love. She was still a keen reader at the time, as this receipt for a 3-volume Life and Works of Sigmund Freud from Martindale’s bookstore shows. 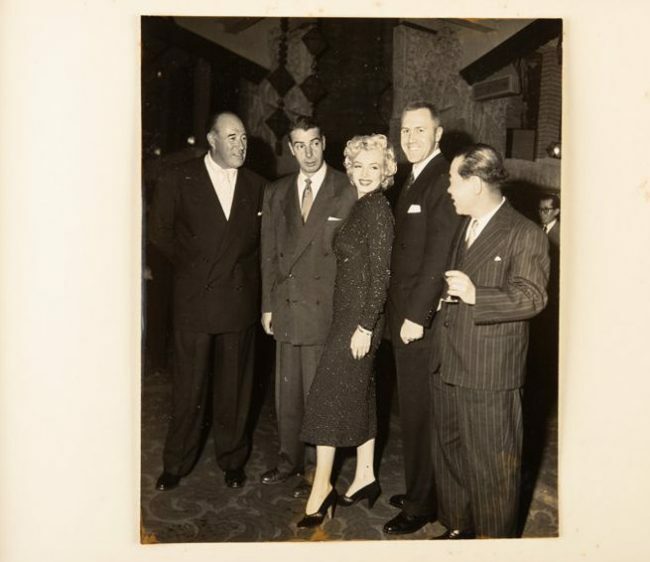 There’s also a June 30, 1960 letter from Congressman James Roosevelt (son of FDR), asking Marilyn to appear on a television show about the Eleanor Roosevelt Institute for Cancer Research, to be aired in October. 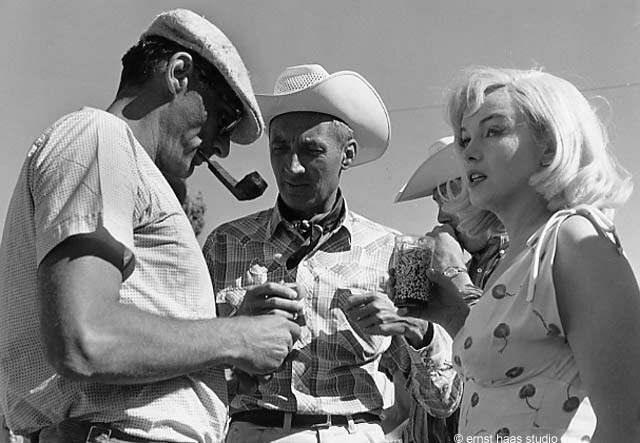 Unfortunately, Marilyn was already committed to filming The Misfits, and dealing with the collapse of her marriage to Arthur Miller. Rather touchingly, Marilyn owned this recording of ‘Some Day My Prince Will Come,’ sung by Adriana Caselotti. 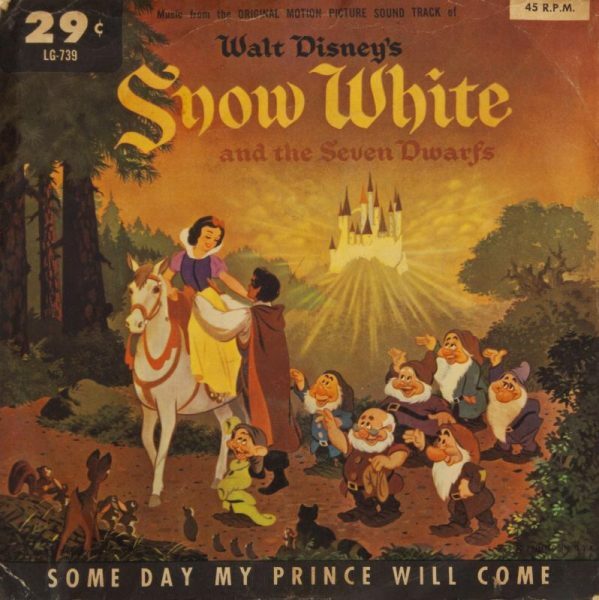 The record copyright is from 1961, but Disney’s Snow White and the Seven Dwarfs was originally released in December 1937, when Marilyn was just eleven years old. 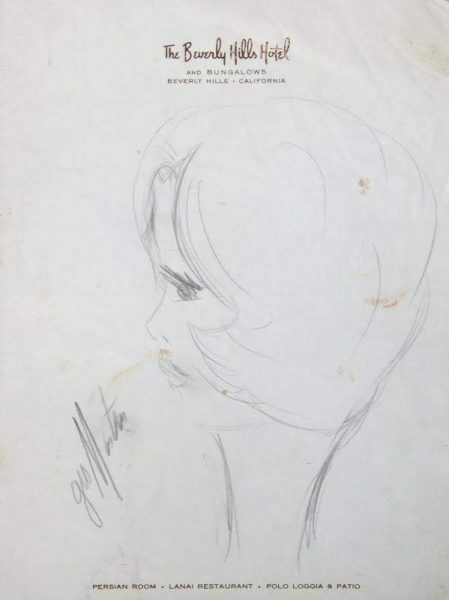 This pen portrait was sketched by George Masters, who became Marilyn’s regular hairdresser in the final years of her life. 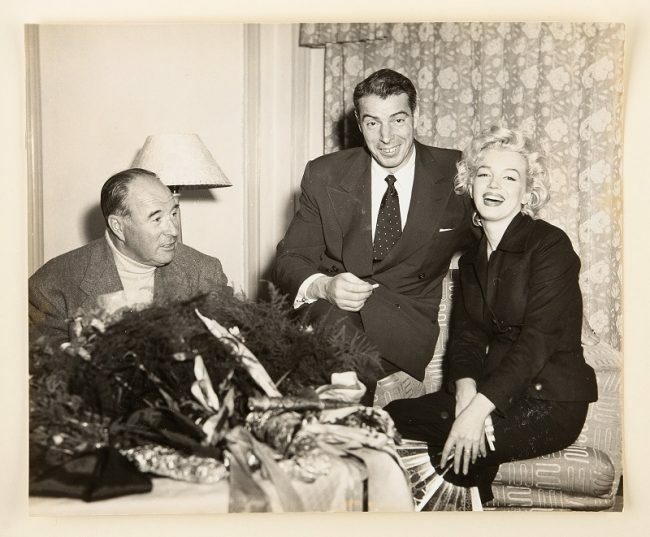 Hattie is referring to Marilyn’s Mexico friend, Fred Vanderbilt Field, who stayed with his family in Marilyn’s New York apartment that summer. She also alludes to Marilyn’s ongoing battle with her Hollywood studio. 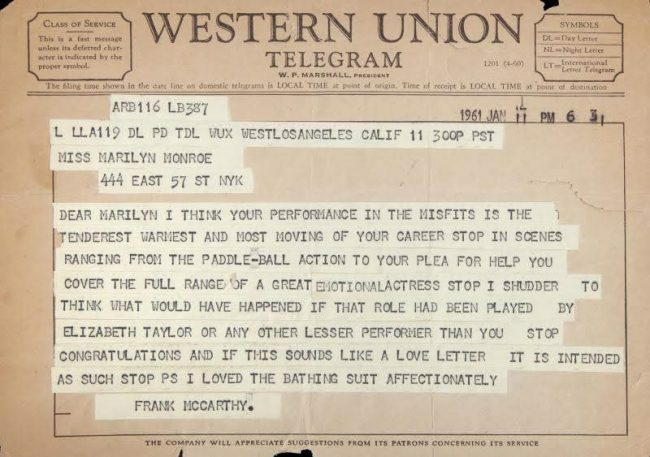 Sadly, Hattie never saw Marilyn again, as she died exactly a month later. Interestingly, the final check from Marilyn’s personal checkbook was made out to Hattie on August 3rd. After Marilyn died, her estate was in litigation for several years. Her mother, Gladys, was a long-term resident of Rockhaven Sanitarium, which had agreed to waive her fees until her trust was reopened. In 1965, Gladys would receive hate mail from a certain Mrs. Ruth Tager of the Bronx, criticising her as a ‘hindrance’ due to her unpaid bills. This unwarranted attack on a sick, elderly woman reminds one why Marilyn was so hesitant to talk about her mother in public. 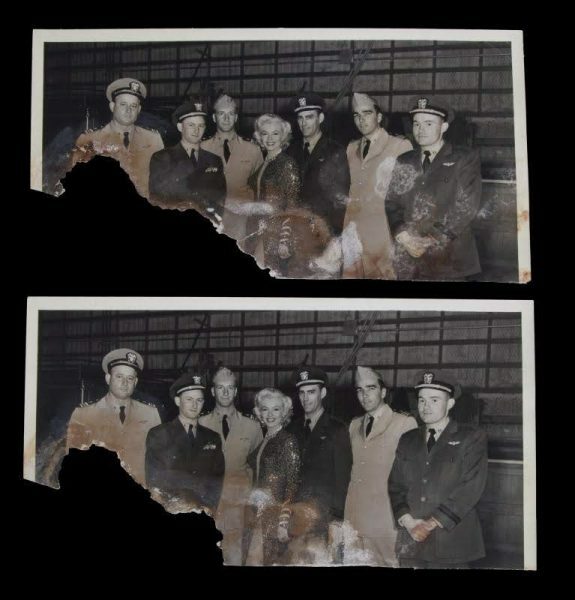 Did Marilyn Pass Through Hong Kong in 1954? Today’s obituary page in the Daily Mail includes an interesting anecdote from Timothy Goss, son-in-law of Derek Bishop who died recently, aged 85. 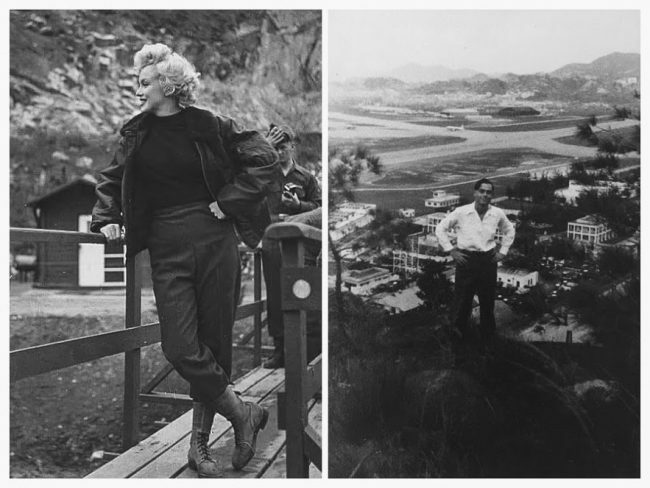 Apparently, Derek met Marilyn at the former Kai Tak airport in Hong Kong one freezing night, while on guard duty as part of his national service in the British Royal Air Force. 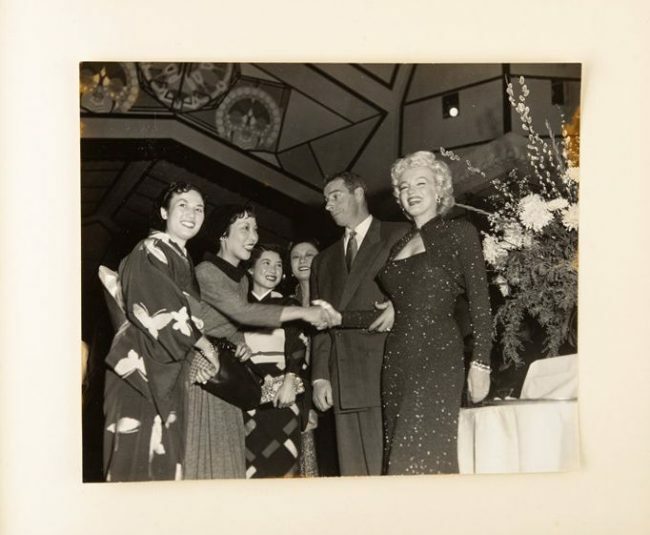 Although the story is dated as from 1952, Marilyn didn’t travel to the Far East until 1954. National service usually lasted for 1 year, sometimes more. 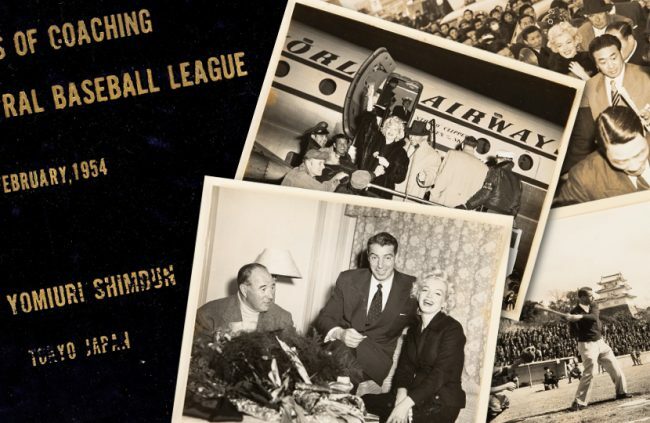 And I haven’t heard of her visiting Hong Kong before, but it’s possible she passed through while returning to husband Joe DiMaggio in Japan after entertaining US troops in Korea. 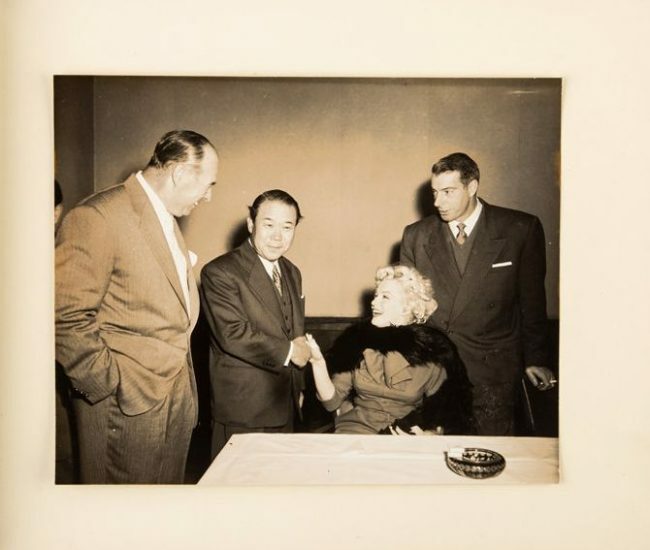 However, as April VeVea points out over at Marilyn Remembered, “That seems really far out of the way when Hong Kong is roughly 2000 miles [from South Korea] and Kobe, Japan is 800.” So did Derek really meet Marilyn, or another blonde starlet that night? “When his shift came to an end at 9pm, Derek and another solider were asked if they would stay on because a delayed flight was expected and there was a ‘celebrity’ on board. 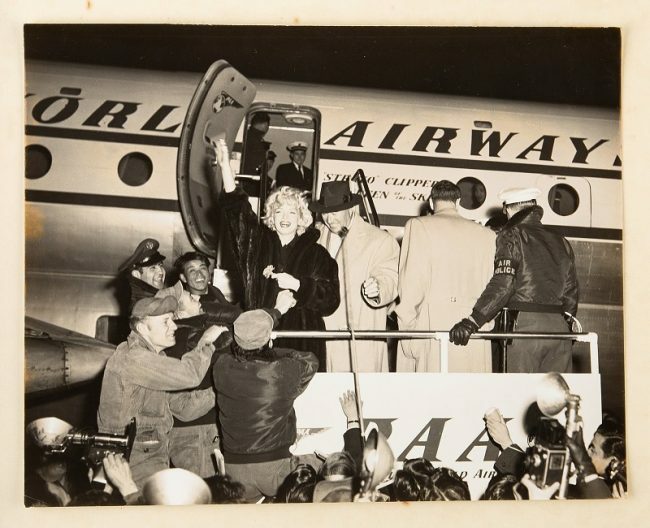 They agreed and when the plane landed at 11pm, the famous passenger who stepped out was none other than the woman who would become the ultimate screen goddess. Derek said she was dressed in ‘everyday’ clothes and wore very little make-up. She insisted on thanking him and his pal personally for working late and took them for a drink in the Nissen Hut that served as the mess. 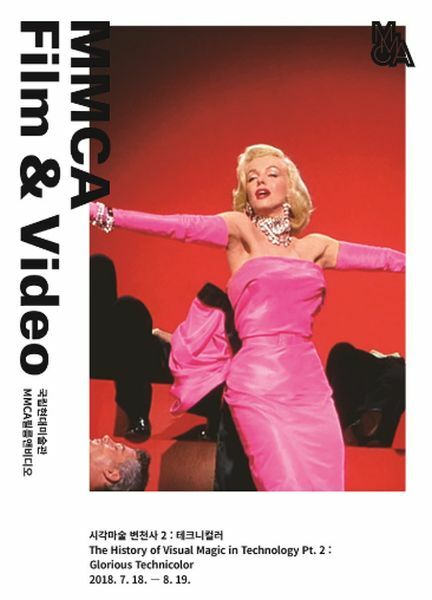 Korea has a unique resonance in Marilyn’s history, so it’s fitting that both Niagara and Gentlemen Prefer Blondes are among twelve classic films featured in ‘The History of Visual Magic in Technology Pt. 2: Technicolor’, a special program starting tomorrow (July 18) at the National Museum of Modern and Contemporary Art in Seoul. 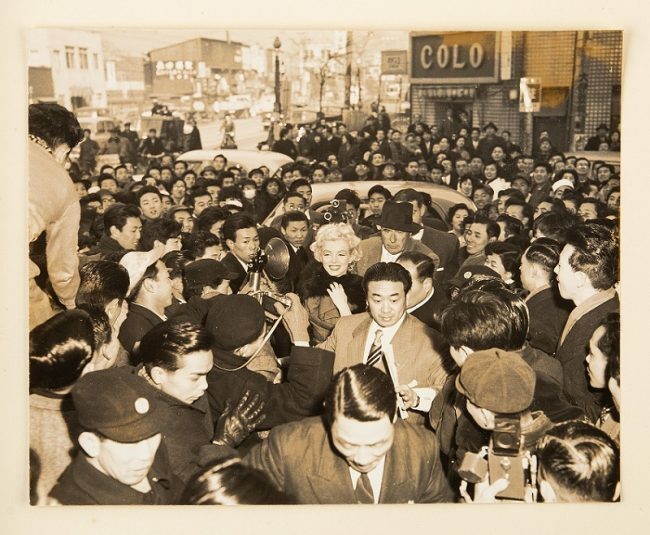 A new novel loosely based on Marilyn’s 1954 trip to Korea will be published by Harper-Collins imprint 4th Estate in Spring 2019, reports The Bookseller. Penned by Korean author and screenwriter Ji-min Lee, Marilyn & Me imagines a friendship between Marilyn and a Korean translator. While the premise is probably fictitious (as far as I know, Marilyn didn’t require a translator during her tour of US army bases), it’s a fascinating part of her life and a Korean woman’s perspective on those events should be intriguing. 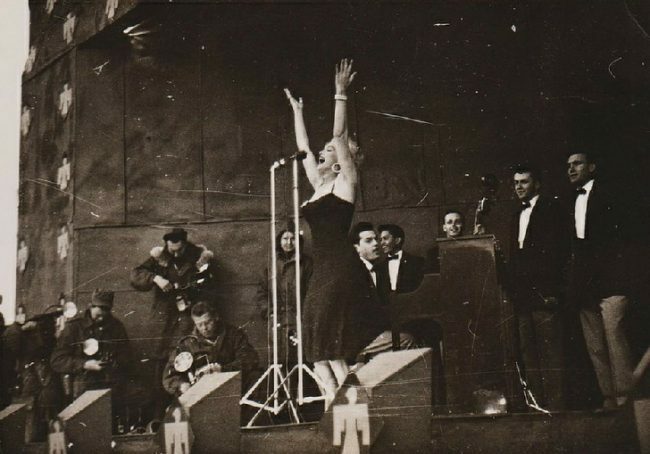 “Set in 1954, in the aftermath of the Korean war, Marilyn & Me unfolds over the course of four days, when Marilyn Monroe took time out from her honeymoon with Joe DiMaggio to tour Korea, performing for the US soldiers stationed there. Her translator is Alice, a typist on the US base – where she is the only Korean woman making a living off the American military without being a prostitute – although everyone assumes she is. As these two women form an unlikely friendship, the story of Alice’s traumatic experiences in the war emerges, and when she becomes embroiled in a sting operation involving the entrapment of a Communist spy she is forced to confront the past she has been trying so hard to forget. Elsewhere in Connecticut, Greenwich Time reports on a new book by local author Matthew Bernard, Victorian Summer: The Historic Houses of Belle Haven Park, which also has a link to Marilyn, Arthur, and the producer of The Misfits.